WHAT IS A RIO MORTGAGE? RIO stands for Retirement Interest Only, and a mortgage of this type is aimed at borrowers who are either approaching retirement or have already retired. To be eligible for a RIO mortgage the applicant/s must meet the necessary age requirements, as stipulated by the particular lender. As the name suggests, the mortgage is interest only, meaning that you make a monthly mortgage payment for the interest, with the loan amount remaining unchanged. This makes the monthly payment considerably lower than with a repayment mortgage. HOW IS A RIO MORTGAGE SIMILAR TO A CONVENTIONAL INTEREST ONLY MORTGAGE? The simple function of paying interest only is nothing new to the mortgage market, and as with all mortgages you need to be able to evidence that you can afford the monthly payments. RIO mortgages may include certain features like any other, such as cash back and the ability to make penalty-free overpayments, but such incentives and features depend on the product and lender. HOW IS A RIO MORTGAGE DIFFERENT TO A CONVENTIONAL INTEREST ONLY MORTGAGE? The lender uses your retirement income (if retired already) or projected retirement income (if not retired) to assess affordability. If you haven't retired yet, the lender will also wish to assess your current income, to ensure affordability during the period before retirement. The lender will also look to see that your retirement income is sustainable in to future, to make sure you can afford the monthly payment as your retirement years progress. A conventional mortgage has a term defined by the number of years (or years and months) until it ends and the loan is repaid. With a RIO mortgage the loan is paid back on the occurrence of a particular life event, mainly being the borrower/s death or moving from the property in to long term care. This doesn't mean that the borrower can't repay the loan before the above events. 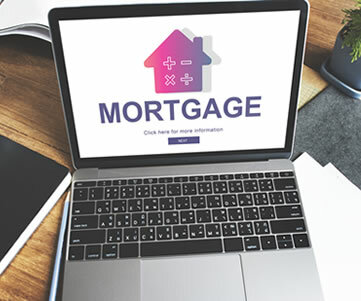 As with mainstream mortgages, you may be able to repay the loan in part, or in full, subject to the features and conditions of your mortgage product. Because the lender is relying on the sale of your property to be repaid the amount borrowed, it follows that they would want to make sure that there is enough equity in your home when the time comes. For this reason borrowing as a percentage of the property value (the loan-to-value) is restricted to lower levels. At the time of writing this post Leeds Build Society, for example, limit borrowing to a maximum of 55% loan to value. WHAT PROBLEMS COULD RIO MORTGAGES SOLVE FOR OLDER BORROWERS? Older borrowers coming to the end of their current interest only mortgage may see the benefit of looking at RIO as a way to pay back their current lender. This may prevent homeowners from having to downsize out of necessity, despite a wish to remain in their current property. Another scenario could be plugging the gap in an endowment shortfall. Unfortunately a contingent of older borrowers face a situation where their endowment policies don't possess enough value to pay off their mortgage at the end of the term. A RIO mortgage may be an option for those looking to pay back their current lender, again without having to revert to down-sizing against preference. The above isn't exhaustive, but clearly the RIO market will play a role in solving problems for certain borrowers who, in the past, may not have had mortgage options available to them. For these borrowers RIO represents good news, hence the warm welcome this emerging mortgage type has received. WHAT ASPIRATIONS COULD RIO MORTGAGES HELP OLDER BORROWERS WITH? RIO mortgage lending isn't restricted to borrowers looking to pay back their current lender. You may not currently have a mortgage against your home, but want to re-mortgage to pursue later-life aspirations. This may include goals such as undertaking larger scale home improvements, or giving your children/grandchildren a "leg up" with wedding expenses. Subject to lender criteria, releasing equity from your home can be for anything from a number of different purposes. IS A RIO MORTGAGE RIGHT FOR YOU? This depends entirely on your individual circumstances. Just because you may be eligible for a RIO mortgage, it doesn't necessarily mean that your best interests are served by getting one. Consulting a qualified mortgage professional and getting advice may present a more suitable route for you.